An Intro to React Native for iOS Developers — A thorough high-level introduction to React Native and related concepts that I think is useful for all developers with mobile development experience. 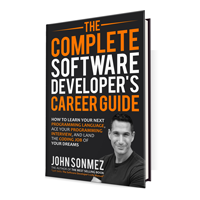 Announcing: How to Earn More as a Software Developer — Technical knowledge alone isn't enough — increase your income by leveling up your "soft skills". Learn new skills faster, command more respect, find work you love, and earn what you're worth. Get the book for $0.99 (48 hours only). Generating Images in JS Without the Canvas API — .. for putting them into Android notifications locally. A powerful solution for a very specific situation, resulting in notably rich notifications. PWAs with the Angular CLI — Using application manifest to describe your app for mobile devices and using service workers for app caching for instant load times all via the Angular CLI. 2 Useful Webpack Plugins for Progressive Web Apps — ..to integrate into your build process. How to View A Web Page On A Mobile Device From A Server Running Locally On My Computer — Run a server using 0.0.0.0 in order to view it on a mobile device. Use Fingerprint Authentication In A NativeScript Angular Application — How to implement fingerprint authentication (aka Touch ID) in a NativeScript with Angular application. Building Better Backgrounds — Approaches to stacking CSS background images for improved readability, using object-fit and ES2015+. The CSS 3 Speech Module and iOS — VoiceOver on iOS supports four settings on the CSS speak-as property. Preventing a Mobile Browser From Sleeping with NoSleep.js — NoSleep.js is a small Wake Lock API shim to prevent the browser and device from going to sleep. The Advantages of Building A Hybrid App — Hybrid development has seen some massive improvements lately, making it an attractive option for mobile app creators. Best Practices for Architecting Highly Monitorable Applications — Is your app easy to monitor in production? Many apps are, but sadly, some are designed with observability as an afterthought.